For Professor Sophonisba Breckinridge, professional education, research into social problems, and direct work on behalf of the social services all advanced a single objective—the betterment of the welfare program so that the vulnerable in our society might lead richer lives. Upon her arrival in 1897, she began her studies in political science with Professor Ernst Freund. From him, she gleaned an intellectual foundation for asserting the law as an implement of social welfare. His instruction would inform her work for the rest of her career. She became the first woman to receive a Ph.D. in political science from the University just as the institution was preparing to open its new law school. With Mr. Freund’s encouragement, Miss Breckinridge enrolled in the inaugural entering class and became the first woman to graduate from the Law School in 1904. 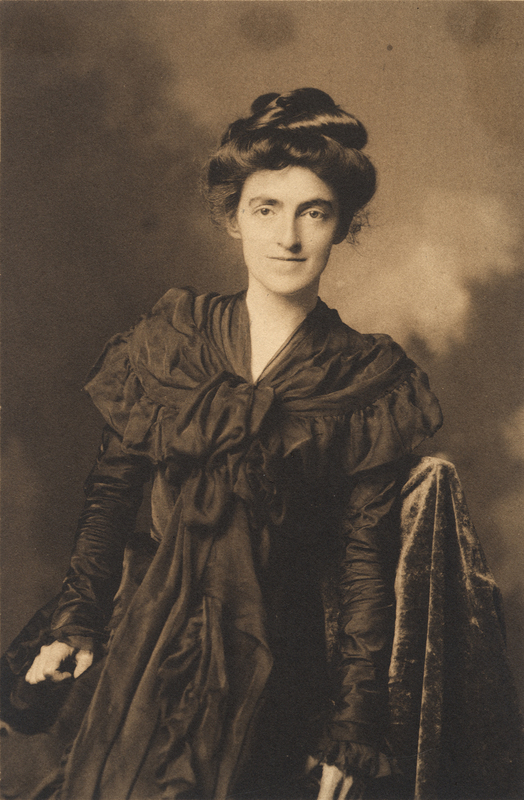 After graduation, Miss Breckinridge was appointed a professor at the University in what was then known as the Department of Household Administration. She embraced the role as an opportunity to effect change, introducing courses on public institutional management and public institutions for children. Driven by her desire to make a truly useful contribution, she shifted her focus to what she regarded as “the great social issues of the day” and became involved with Jane Addams’ Hull House. She also helped found the Chicago Women’s Trade Union League and the Chicago Chapter of the NAACP. Within a few years, Miss Breckinridge was tapped to head the research department at the Chicago School of Civics and Philanthropy, while continuing in her role at the University. It was under her leadership and guidance that the Chicago School eventually merged with the University of Chicago to become the University’s School of Social Service Administration (SSA). Until her retirement in 1942, Miss Breckinridge remained a devoted teacher, all the while continuing to shape SSA, define the profession of social work, and accomplish more “firsts.” Influenced by her experience at the Law School, SSA became the first school of social service to implement the “case method.” The University appointed her the Samuel Deutsch Professor of Public Welfare Administration in 1929, making her the first female professor granted a named professorship. She was also the first woman ever chosen to represent the United States at an international conference. A prolific writer until her death in 1948, Miss Breckinridge authored many books including The Delinquent Child and the Home, Family Welfare Work in a Metropolitan Community, Public Welfare Administration, The Family and the State, and Social Work and the Courts. In memory of extraordinary career and far-reaching impact, the University named Breckinridge Hall in her honor.